I just returned from a business trip in Israel. As I prepared for my visit, I consulted one of my colleagues who previously visited. I asked, "Freebird (not her real name), how's the beer in Israel?" She replied with, "The wine's great." Glowing recommendations aside, I decided to sample whichever local brew came my way. After the long flight to Tel Aviv, I had dinner at my hotel's restaurant. When I asked for a beer, the waitress showed me a list with nothing but European imports. I asked for local beers and she told me they have two–a dark and a light. Being the adventurous type, I went for the dark. It turns out that "dark" and "light" are Goldstar and Maccabee, respectively. These are the two leading macro lagers, both made by Tempo Beer Industries. I tasted both and they tasted pretty much like what you might expect of industrial lagers. While not great, they weren't horrible either. I preferred the slightly darker Goldstar. If I were formally reviewing it, I'd give it my 3 star rating. 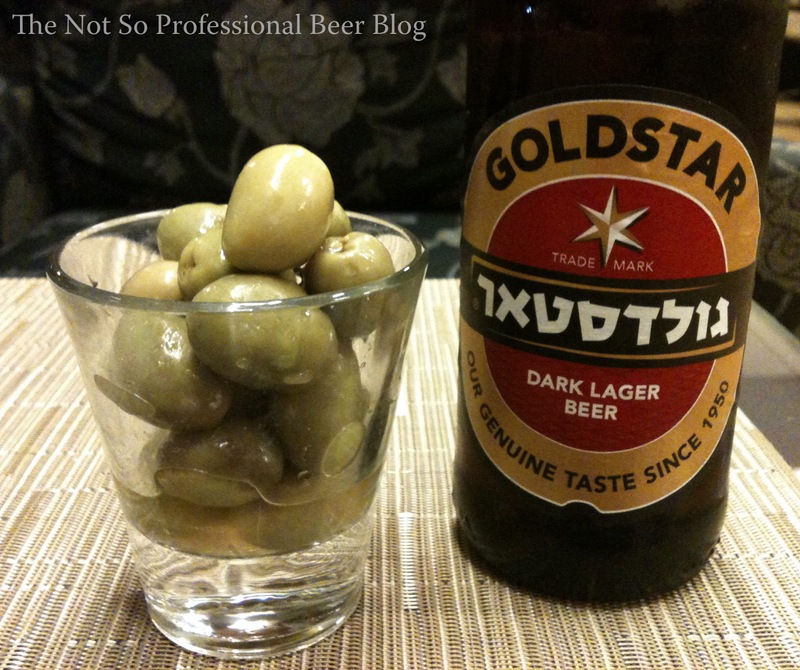 After drinking these two brews, I thought my Israeli beer experience was complete. After the fourth day, I found myself craving an IPA or some other decently hopped beer. As I glanced at a local tourist map, I was surprised to see "Tel Aviv Brewhouse" located within walking distance of my hotel! Upon further research, I learned that it is one of only nine smaller breweries in the entire country. With destiny calling, I headed over there for dinner. Masters Rich Dark Beer: A dark, non-filtered beer based on a 150 years old recipe. A full bodied foamy beer containing at least 6.2% alcohol. Quantum Special: A non-filtered, golden beer with an alcohol level of 5%. Considered to be the most popular beer in Europe. Moonshine Premium Lager: A reddish, non-filtered with a balanced taste and level of alcohol set around 5%, based on an 1841 formula. I thought it was interesting that the descriptions all mention the beers' color and alcohol content, but none of the flavors. That's alright though–the customers can figure it out. Anyway, I wasn't a big fan of Quantum or Moonshine due to their fruity and buttery (diacetyl) off-flavors. Masters had a light buttery flavor, but it was the best of the bunch, so I went with it. 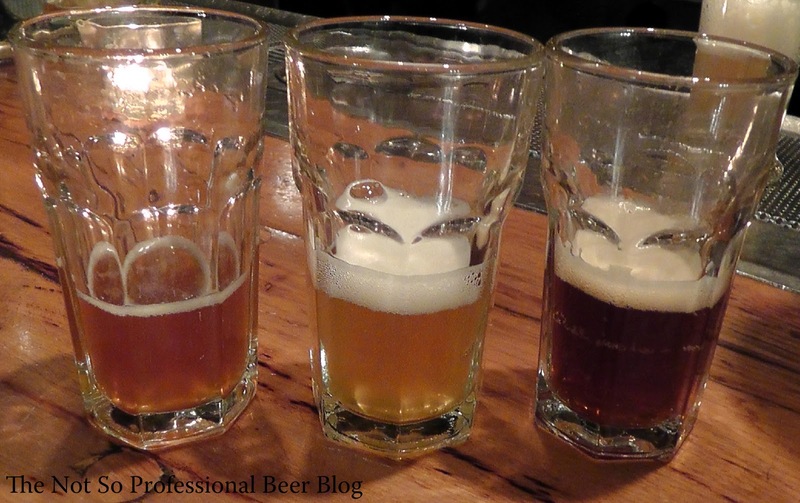 While Tel Aviv Brewhouse's beer wouldn't survive long in Portland, it's not in Portland. It's 6900 miles away in a part of the world where few know what "craft" beer means. I expect the road to great beer takes time and effort and it's great to see the journey beginning in Tel Aviv. I'm glad I had the opportunity to experience it from the start! Great write up, and a wonderful opportunity. I'll admit I am a little jealous. Too bad the beer wasn't better, but like you said the road to great beer takes time and effort. Thanks Michael. 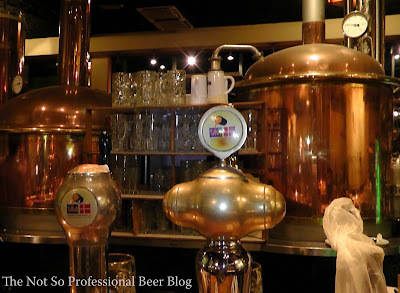 Even the the beer was not so great, I enjoyed my visit to the brewpub. Always fun to try something new--especially in a different country!